Sharpshooter (3/3) – Increases accuracy, which is not that beneficial in PvP, but it does help to keep debuffs from making your life miserable. No Holds Barred (3/3) – Regardless of your build, this is a great ability, as it increases crit chance. Independent Anarchy (3/3) – Aside from the awesome name, this skill is also good because it adds straight damage to Sabotage Charge and all AoEs. This combined with Thermal Detonator cooldown reduction from Saboteur’s Utility Belt make it a 3 second cooldown death to mobs of players. Use on chokepoints in Voidstar for example. Cool Under Pressure (2/2) – One of the most crucial talents of the build, this makes Cool Head heal you for 6% of your health. With the skill Sabotage, which resets the cooldown on Cool Head, available every minute, this means 6% of your health back every minute. I was once top heals in a Warzone with this (sure, we didn’t have any dedicated healers, but it was still pretty funny). Underworld Hardships (0/2) – This increases Endurance by a percentage, which is not as great as you would think. This adds 4% fully spent, and 4% of 16,000 health (which is an approximate health bar for someone using Tier 2 gear) is about 640 health. That doesn’t provide much of a barrier. Contingency Charges (2/2) – When Sabotage Charge is detonated, it drops 2 Contingency Charges on the target (1 per point spent). These Contingency Charges detonate upon blaster fire (including Flurry of Bolts). I personally like to detonate these with Speed Shot, which has bonuses further up the tree. This combination provides a nice little bit of burst DPS. Dealer’s Discount (2/2) – Reduces energy cost on Sabotage Charge, Shock Charge, and Incendiary Grenade, which are three of the most important skills in this spec. Shock Charge (1/1) – One of the best parts of this spec. This active skill is a 21 second bleed, 30% slow (when combined with the talent Sapping Charge), and the required effect for Sabotage, which is the active skill farther up in the tree. Sapping Charge (2/2) – Turns Shock Charge into a 30% slow for the duration. Insurrection (1/1) – Increases Contingency Charges dropped by Sabotage Charge by 2, which is good, but the reason this really rocks in my opinion is it returns 5 energy when each Contingency Charge detonates, which makes Sabotage Charge returns 4 net energy when all said and done (20 – 4 from Dealer’s Discount – 4 * 5 from each Contingency Charge). Hot Pursuit (2/2) – This makes Quick Shot free for 6 seconds after leaving cover. Use this while running around for much more DPS than Flurry of Bolts. Also good for blowing up Contingency Charges. Arsonist (2/2) – Increases critical damage of AoEs by 30% fully spent. This is very situational, but Incendiary Grenade is pretty powerful and an AoE and Thermal Grenade is seriously buffed in this spec anyway, so it is worth taking both points in my opinion. Seize the Moment (0/1) – After activating Sabotage, the next Sabotage Charge or Incendiary Grenade costs zero energy. This means that Sabotage combined with a Sabotage Charge and the Contingency Charges from above can actually result in a net energy gain. This is ok for PvP, but it is especially useful in PvE. However, I decided not to take it, due to energy being pretty readily available. Sabotage (1/1) – This is where survival meets offense. This active skill instantly deals damage to the target of your Shock Charge, consuming it, and resets the cooldown on Cool Head and Defense Screen. This skill is available once a minute. 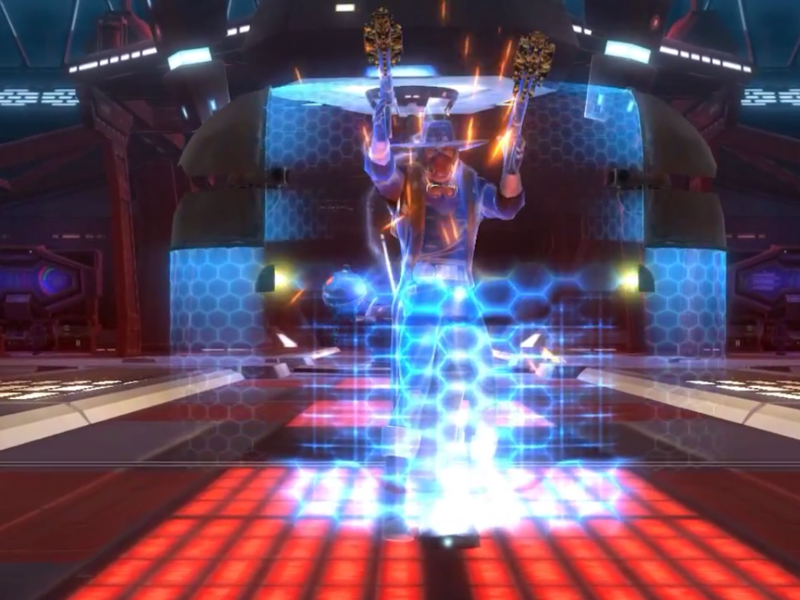 Hotwired Defenses (2/2) – Increases damage absorbed by Defense Screen by 30% fully spent. That doesn’t mean that you take 30% less damage. Defense Screen can be thought of more as a bubble. It has a duration, but is usually “spent” before that duration ends. It was buffed in 1.3, so that is nice. Riot Screen (2/2) – Decreases damage taken by 6% while in Cover and reduces cooldown on Scrambling Field by 30 seconds. Blazing Speed (3/3) – When Speed Shot damages a target, it applies a 4 second DoT which can stack 4 times. Incendiary Grenade (1/1) – Applies a burning DoT to a targeted area of the ground for 18 seconds. Only acts on 3 targets, so if there are more than that at a turret, it won’t stop them all. It is good in a fast pinch since it is instant, and it does a good amount of damage. I’m having some small security issues with my latest blog and I would like to find something more safe. Do you have any suggestions? 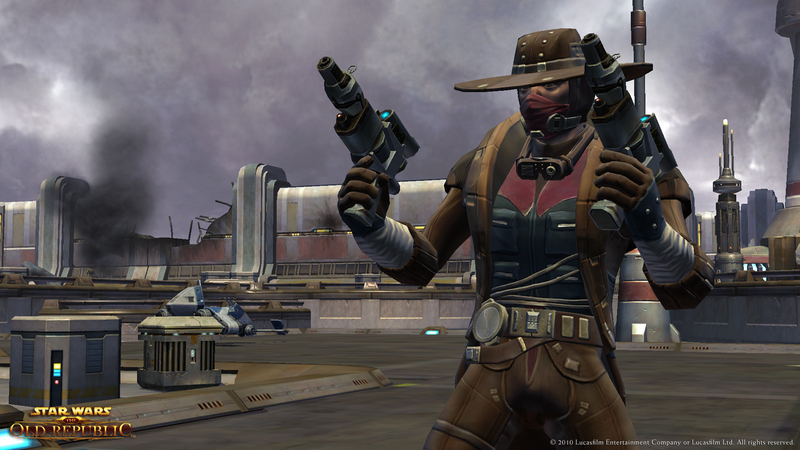 Smuggler Weekly: Sabotage and Treachery | TORWars – SWTOR News, Opinion & Podcast!